Arb Innovations is committed to excellence in the field of Arboriculture. As a team we strive to provide an efficient, eco-friendly and reliable service that is both personalised, and enjoyable for you. We pride ourselves on providing innovative and sustainable solutions based on modern arboricultural techniques, practices, and methods with an overall professional ambience. From tree removal to light pruning, no matter how big or small job – we are confident and professional in any situation. We are approved contractors for the New Zealand Arboricultural Association. If you want to increase the amenity value of your trees, or keep your trees safe and tidy, formative pruning may be the answer. Whether the tree is dead, dangerous or unwanted it needs to be removed by an expert. Trimming shrubs and hedges is a lot like pruning trees – it’s important to know how each species responds to trimming. Whether it’s the right tree in the wrong place or a tree with some sentimental value, Arb Innovations can provide you with the means to safely transplant your tree to a new location. After sever weather trees can become damaged, uprooted and dangerous. In some situations trees require additional support as they develop strong reactive growth around certain branches and stems. Did you know that you can improve the health of your tree by servicing it’s roots? Healthy root systems are a fundamental aspect of ensuring the longevity of your tree’s life. Mulching is one of the most beneficial practices tree owners can use for optimal tree health. Many tree problems begin from below, in and amongst the soil. 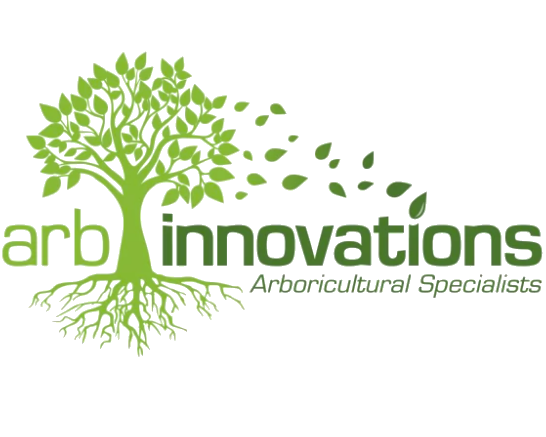 Arb Innovations has a holistic, sustainable approach to helping restore plant and tree health. The management of woodlands, parks and forests not only takes into account the management of trees but also the wildlife within them. Ensuring optimal health for your trees can be tricky with todays ever changing environments – but it doesn’t need to be. Arb Innovations provides a wide range of consultancy services to various clients such as developers, councils, golf courses, schools, public and private clients. Weather you are need to clear a section for a new home, or clearing a large site for a development, Arb Innovations have a range of machinery to suit all land clearing needs. Weather you have a small woodlot or a forest, Arb Innovations Ltd can help you find the solution for a safe and productive harvest. We have an elite and dedicated team who are passionate about what they do. The advice we give comes from years of experience, schooling and training. Arb Innovations is well insured with $10 million cover for public liability.